Liverpool: It has been over 11 hours since Liverpool forward Mohammad Salah found the back of the net, last scoring in early February. However, with teams focused on closing Salah down, Sadio Mane has thrived on the opposite flank with 11 goals in his last 11 games in all competitions. 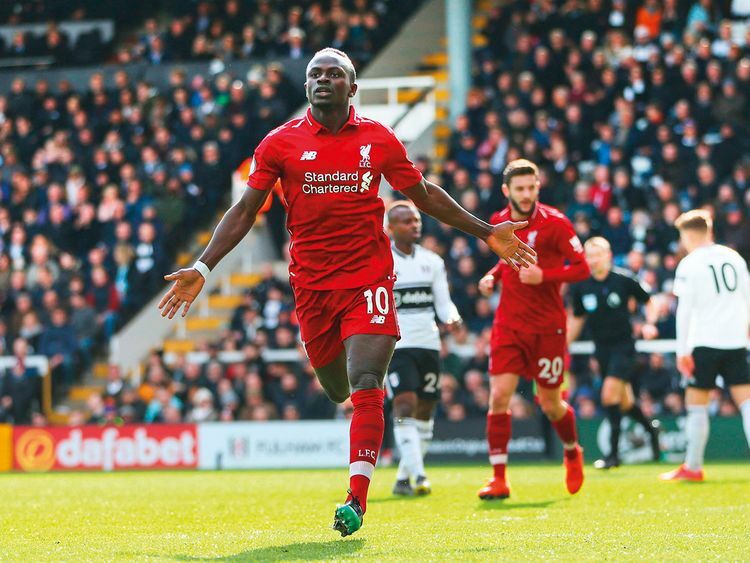 Liverpool’s 2-1 win over Fulham, where Mane opened the scoring, allowed Jurgen Klopp’s side to move two points clear of Manchester City at the top of the Premier League. Fulham had equalised against the run of play through former Liverpool forward Ryan Babel, who capitalised on a defensive mix-up between Virgil van Dijk and goalkeeper Alisson Becker. Babel nipped in as Alisson failed to collect Van Dijk’s header back, and tapped into an empty net. There were smile on the blue side of Liverpool too. Chelsea’s fourth away defeat in 2019 left Sarri’s side in sixth, three points behind fourth-placed Arsenal. “At the moment this is our limit, I think,” Sarri told reporters. “It will be hard to reach the top four now but I would not say impossible.” The win was also Everton’s first against a ‘top six’ club in the league this season. Pep Guardiola’s side came back from two goals down at the Liberty Stadium to win 3-2 but the foul on Raheem Sterling that led to the penalty was debatable while Sergio Aguero scored an 88th-minute winner from an offside position. “I’m sorry it was offside, I don’t understand why VAR is not used in this competition at this stage,” Guardiola said. Brighton boss Chris Hughton also complained about the lack of VAR which could have potentially helped his side overcome Millwall in regulation time rather than in a penalty shoot-out. “If I’m a team who has benefited from it in one game, I don’t think it’s fair on the teams that don’t benefit from it,” Hughton said.